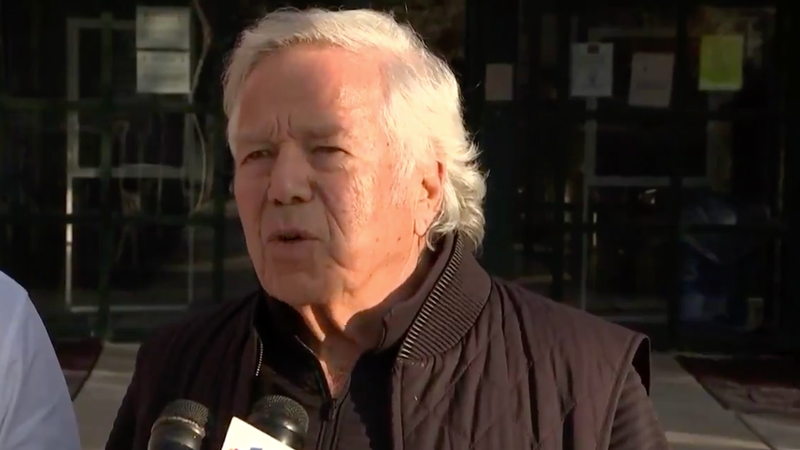 Patriots owner Robert Kraft, of all people, and 76ers owner Michael Rubin visited Meek Mill in Pennsylvania prison today, where the Philly rapper is currently serving time for a probation violation. Kraft talked to the media afterward and—if you adjust your standards for his wealth, age, and race— actually made a coherent point about mass incarceration. Kraft proceeded to call Meek “very intelligent” a couple of times, and said that he’d gotten to know the rapper through Rubin, who’s publicly supported Meek in the past. (Kraft and Meek were also spotted hanging in Miami last summer.) Meek is currently serving a two-to-four year in prison sentence, which began in November 2017, for violating a probation that began nearly 10 years ago. It’s not just famous rappers who get stuck in jail under these conditions, though. According to The Atlantic, 50 percent of Philadelphia’s pretrial jail population is held without bail for violating their parole or probation. And nationwide, the number of people incarcerated for minor parole violations is at least 60,000.